When it comes to finding his niche within the music world, Mark Turner has admittedly faced challenges. As a saxophonist, he’s not a fire-breather like Brotzmann or Gustafsson, or particularly stylistically adventurous, which means he’s not going to be getting a ton of attention on blogs like this one. Yet he’s not a crowd-pleaser either, as his rather airy and abstract improvisational voice is a far cry from the accessibility of folks like Sonny Rollins or Charles Lloyd. And I have admittedly not always been a huge fan of his work myself; I was less than impressed by his playing a couple years ago on Billy Hart’s All Our Reasons. But on this recording, Turner’s first as a leader since 2001, we have a terrific example of a situation in which Turner’s bandmates really bring out the best in him. In particular, havingtrumpeter Avishai Cohen on hand as a second horn player seems to lend some additional edge and spirit to Turner’s playing; and the first-rate rhythm section of Joe Martin on bass and Marcus Gilmore on drums is also critical to giving Turner’s complex compositions the firm pulse they need to really come alive. Turner’s solos are consistently thoughtful and intriguing, and although I still find myself wanting to see a bit more dynamic variation and punch from him at times, as he can be relentlessly patient and even-handed in the development of his ideas, here his melodic vision largely predominates, leading to some spry and stimulating solo moments on all six tracks. 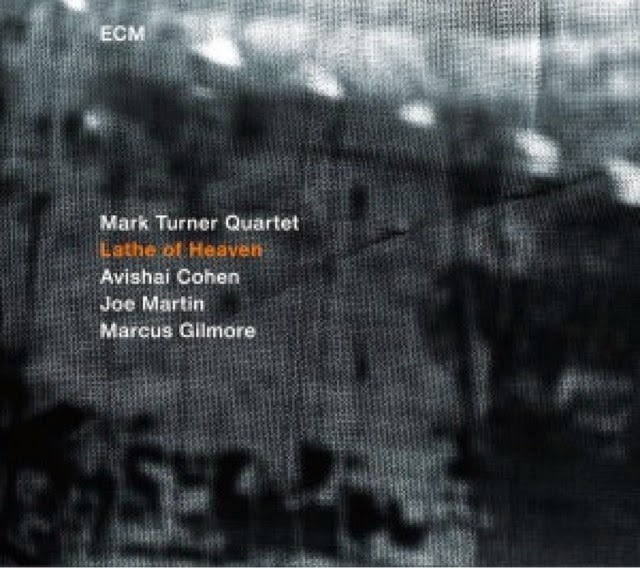 Again, having the impressive Cohen on hand is the perfect asset for Turner, as some of the best moments on the record are those in which their intertwining lines create the kind of mutual intensity that brings out another dimension to Turner’s playing. The record’s closer, “Brother Sister,” is an especially good example of what Turner can do in conversation with another horn player, as Cohen’s fine upper-register playing leads Turner to elevate himself as well. Martin and Gilmore are just as essential to the success of the project. Martin’s bass playing isn’t flashy; at times he reminded me of having a Charlie Haden-style “less is more” approach, withwell-chosen and spare undercurrent rather than fireworks, although with occasional rhythmic variations in his lines that always add interest. And Gilmore is just superb, with a skittering, relentless searching of his drum kit: always in motion, providing a rhythmic foundation for the rest of the band, but not without the willingness to change direction and tempo when it’s required. As a rhythm team, they pull off the always-difficult feat of being strongly in sync while still sounding loose and fluid. All six tracks on the record have a memorable melodic structure, yet with plenty of space for opening up the tune for exploration. Highlights include the title track, which features an especially impassioned solo from Turner, building gradually in intensity throughout; the above-mentioned “Brother Sister”; and “The Edenist,” with an addictive noir-ish feel due to a terrificbass groove that draws out some inspired playing from Cohen, and Turner as well. It’s definitely one of the more interesting and rewarding of ECM’s recent releases.